Tomorrow is Cenla Fly Fishing Day! Our first-ever conclave takes place tomorrow at Kees Park Community Center in Pineville from 9:00am to 4:00pm. Looks like we'll get a break in the weather, with the sun finally coming out and the high temperature reaching up to 57 degrees. If you haven't made plans to come, it's never too late. The event is free and fun for the whole family. Stop by - even if just for a half-hour or hour - and see what a fishing festival is like. 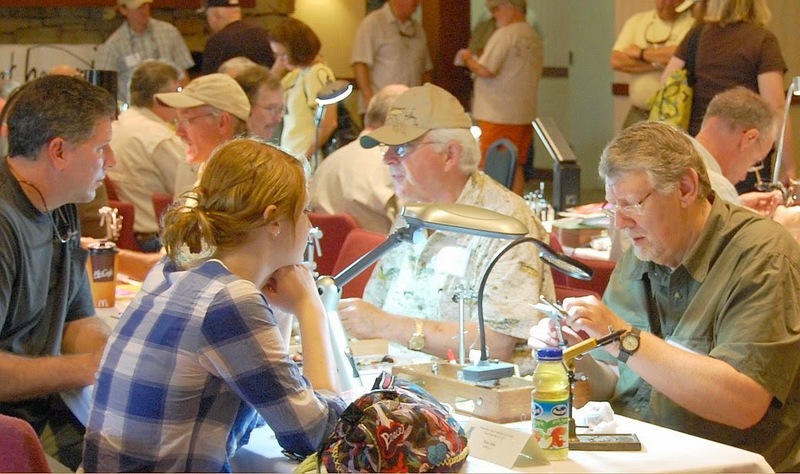 For more info, click on the Cenla Fly Fest page and the Speakers/Tiers/Exhibitors page. Our first meeting of 2015 will be on Tuesday, January 20th at 6:30pm at the Rapides Westside Library in Alexandria. The public is welcome, so bring a guest if you can. The hot topic on the agenda will be the club's upcoming "Cenla Fly Fishing Festival" on January 24th. However, we'll also talk fishing... during the next few weeks we have club trips to Broken Bow and the Little Missouri for trout. Also, peak season for crappie is coming up. We'll share where to go, and what to use. 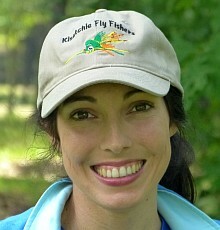 Also, it looks like KFF will be joining Cane Country Fly Casters for a local "outcast" event on March 28. 2015 dues are due! Just $20 for either individual or family - and FREE for military and students! January 24th proclaimed as "Cenla Fly Fishing Day"
An historic moment occurred at Tuesday's meeting of the Pineville City Council. 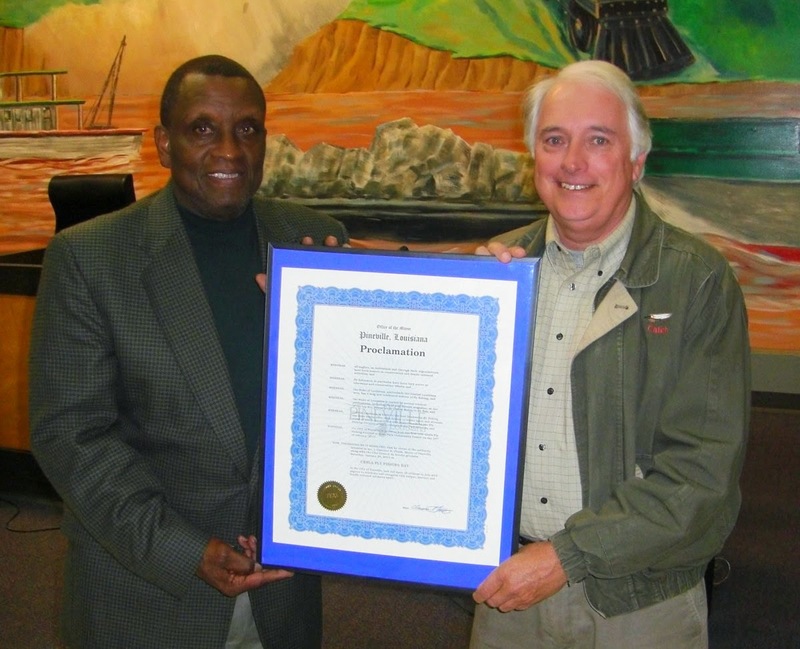 Mayor Clarence Fields proclaimed Saturday, January 24th as "Cenla Fly Fishing Day". FYI, that's the day of the first-ever Cenla Fly Fishing Festival hosted by Kisatchie Fly Fishers at Kees Park in Pineville. In the proclamation, Mayor Fields - himself an avid bass angler and occasional flycaster - recognized the numerous opportunities for fly fishing in central Louisiana, and the fact that many of the state's freshwater fly rod division records come from the area. Afterwards, Mayor Fields handed a framed copy of the proclamation to KFF president, Glen 'Catch' Cormier. Thanks to Mayor Fields and everyone on the council, especially KFF member Christy Frederic, for this great recognition! Cenla Fly Fest - 12 days and counting! Our first-ever "conclave" is less than 2 weeks away - Saturday, January 24th - and the list of tiers is impressive. We also have a great lineup of speakers and several exhibitors. On Thursday we'll post the lineup of programs, speakers, and fly tiers. So mark your calendars for January 24 and don't miss it!